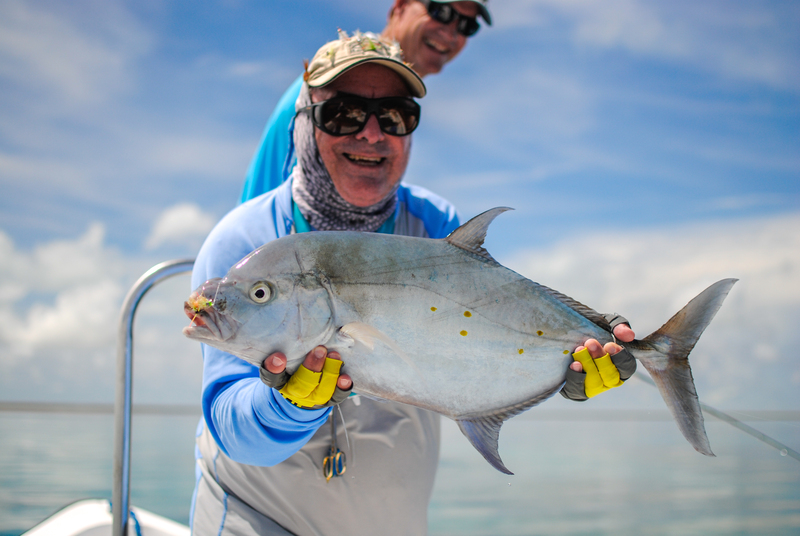 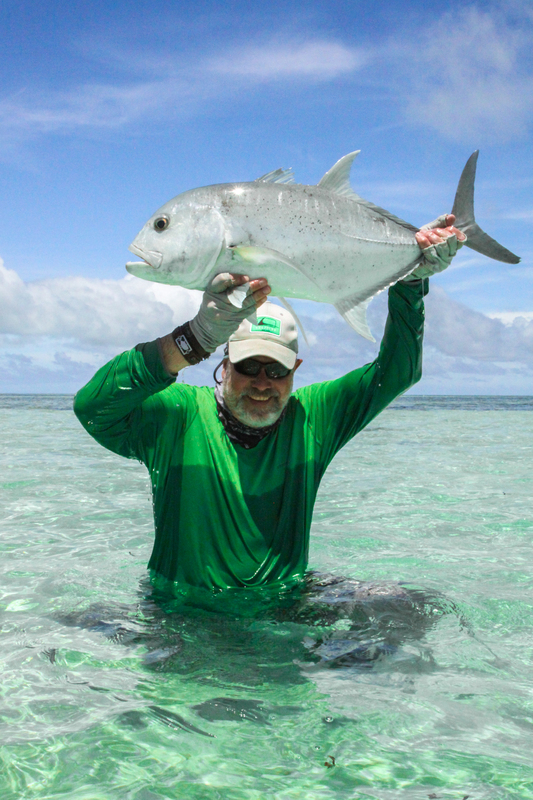 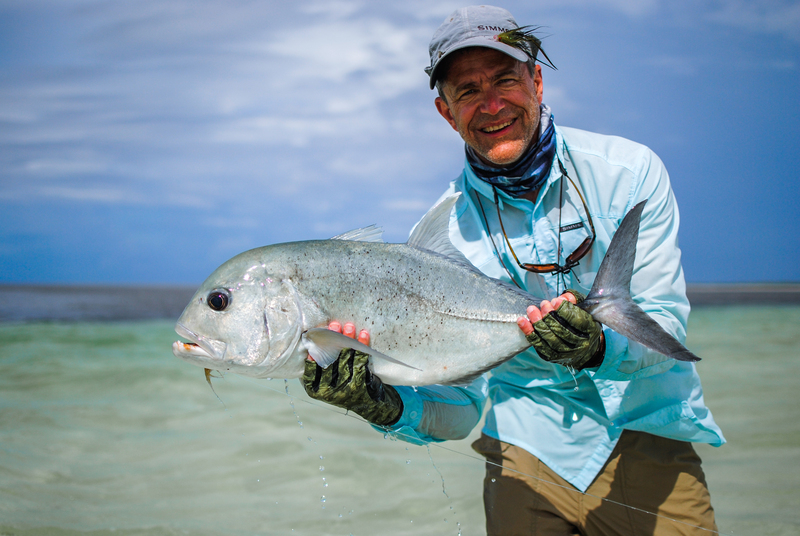 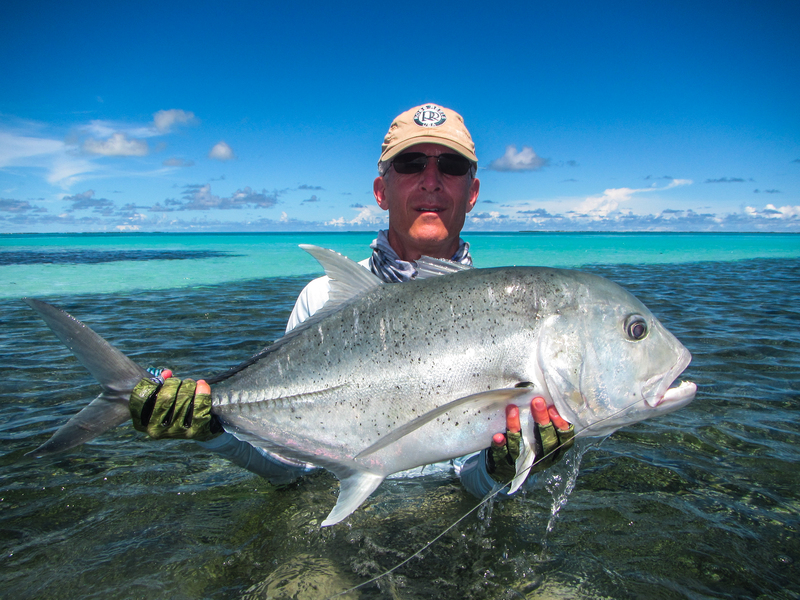 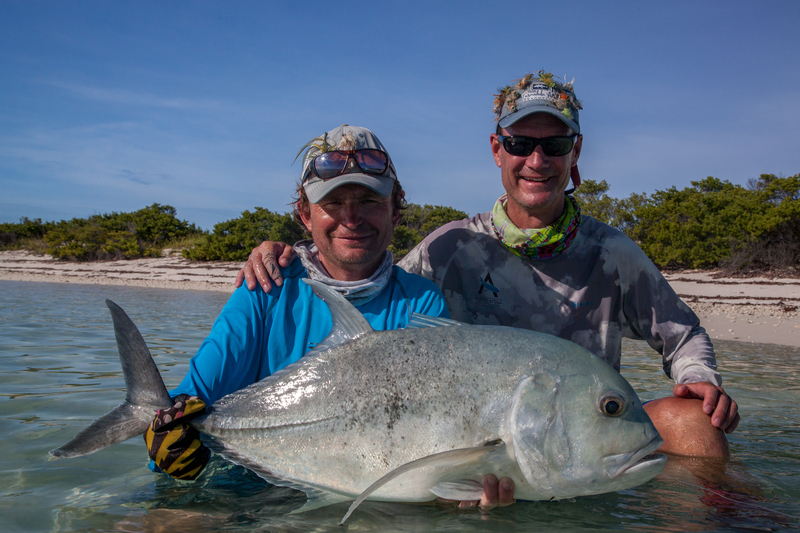 Week seven of the Cosmoledo Atoll season saw the much-anticipated return of four fishing buddies, Chris B, John W, Carl H and Scott T. Joining them are best friends Jan H, Dave H and Terrence D (TD). 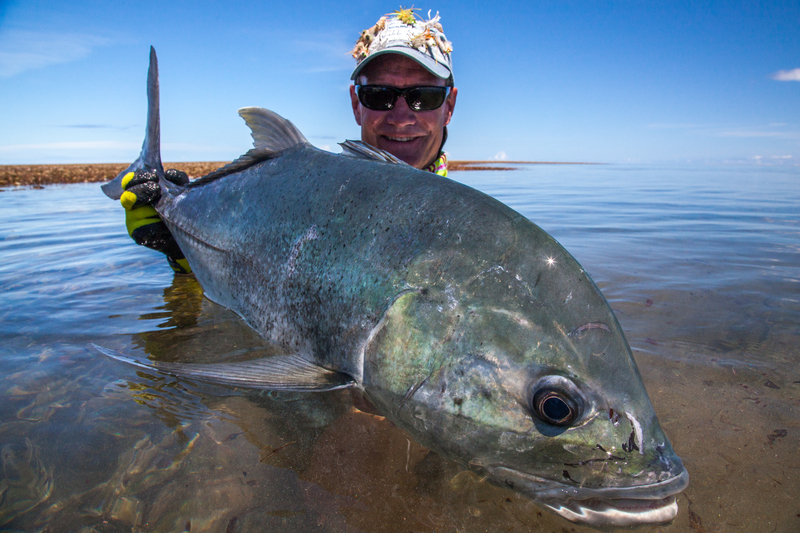 Cosmoledo has been at its best on all accounts with sublime weather and the fish out in full force. 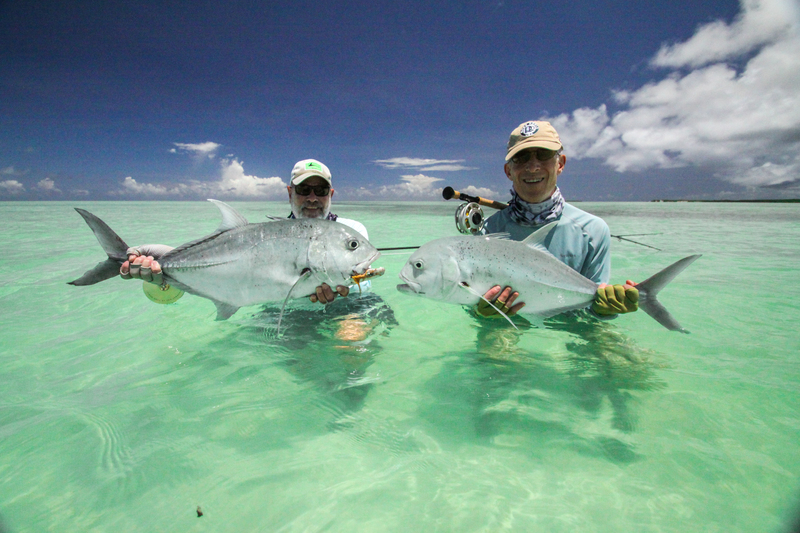 GT’s, Milkfish, Triggerfish and Bonefish all made a significant appearance and were willing to eat. 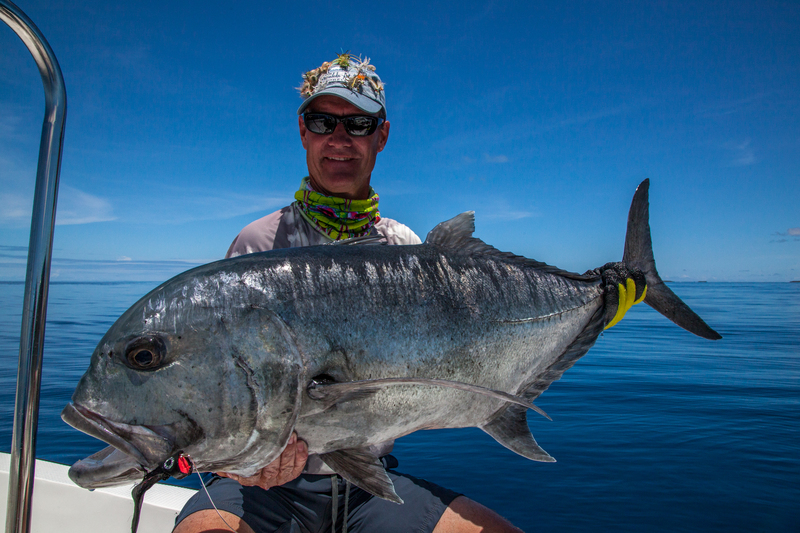 Sadly the one species that alluded capture this week was the highly coveted Indo-Pacific Permit. 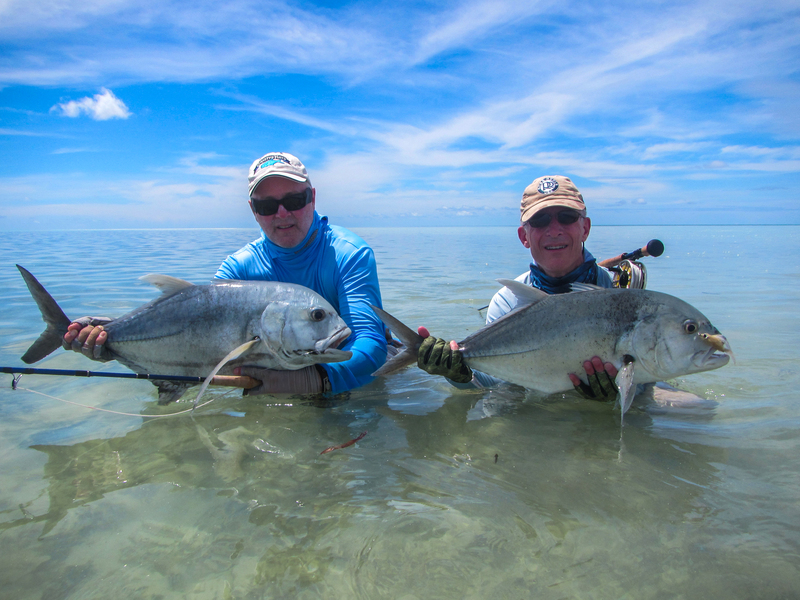 Chris, John, Carl and Scott all needed to tick the box for a GT on fly which didn’t take long after stepping onto the flats on the first morning. 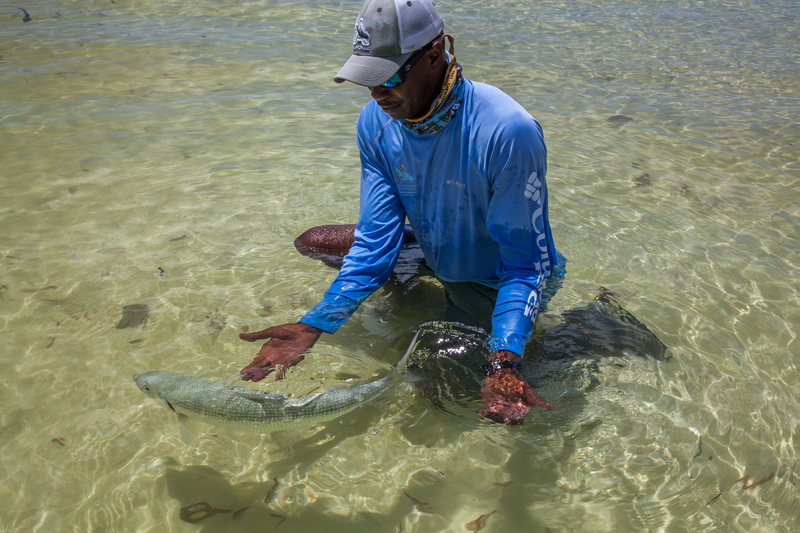 The catch stats were incredibly impressive to say the least. 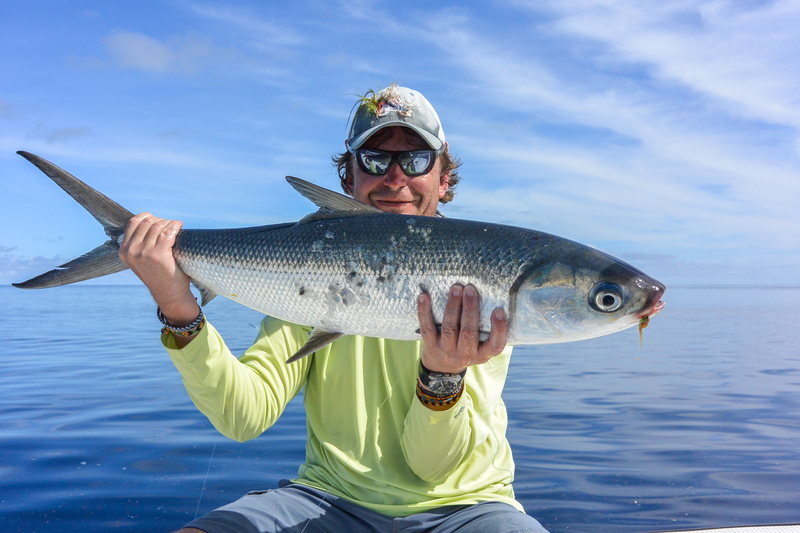 A remarkable total of 146 GT’s, six Milkfish, three Triggerfish and a pile of Bones were caught for the week. 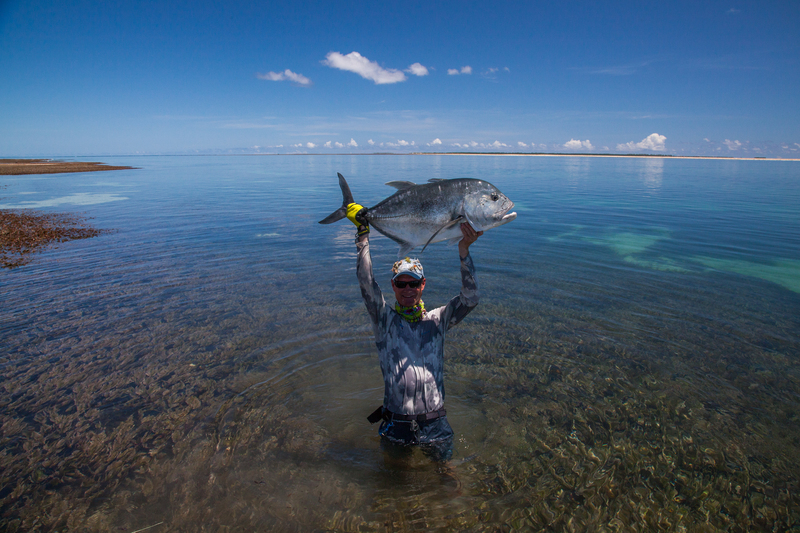 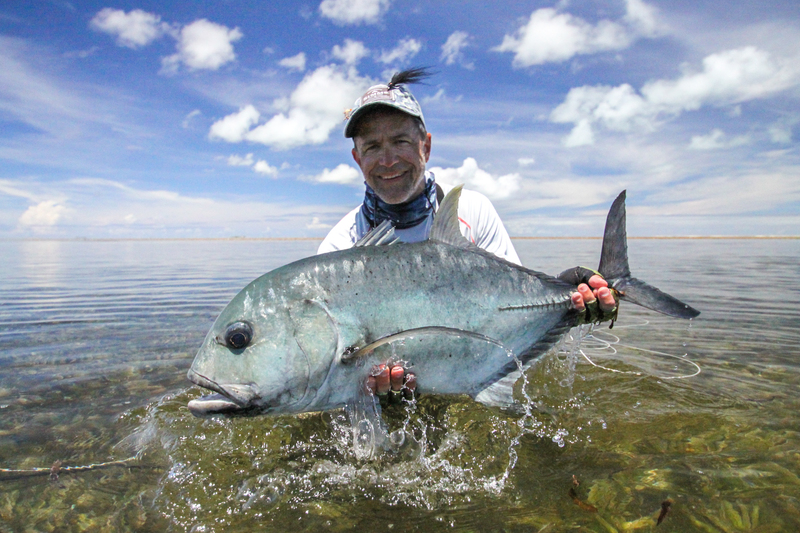 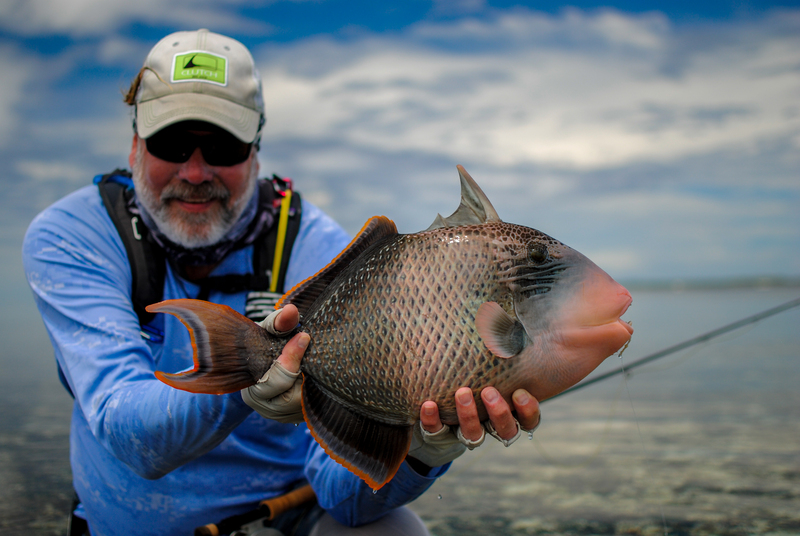 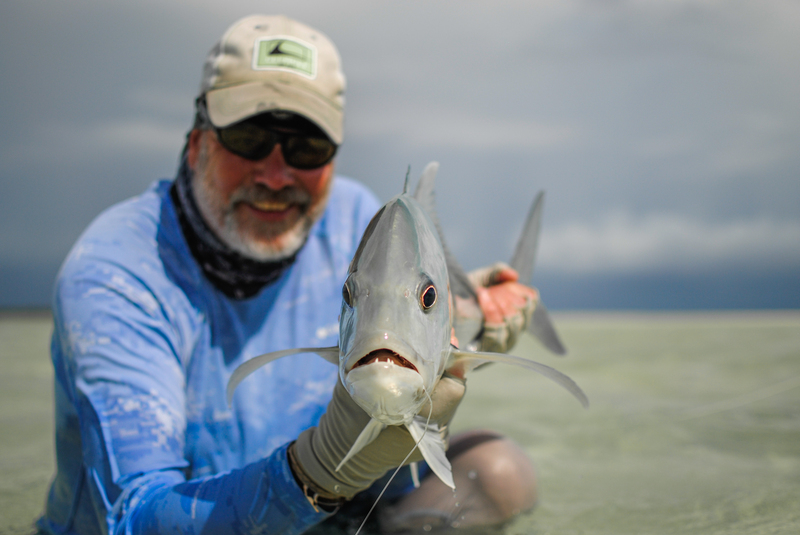 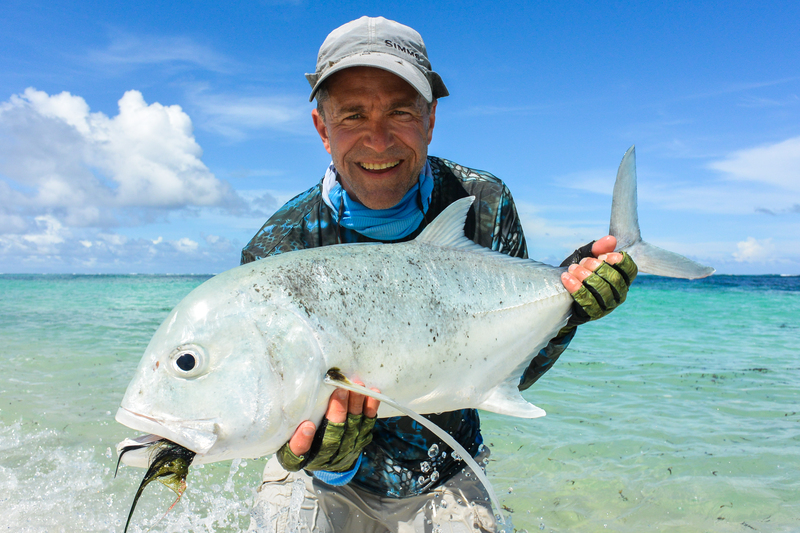 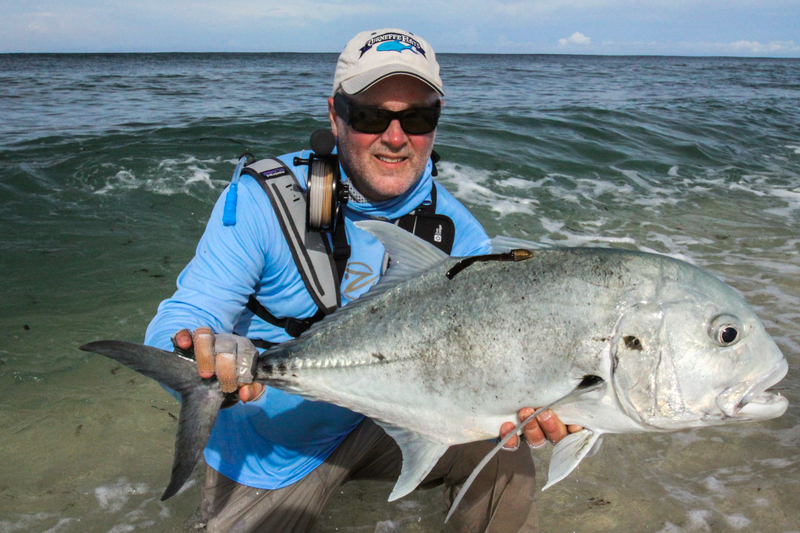 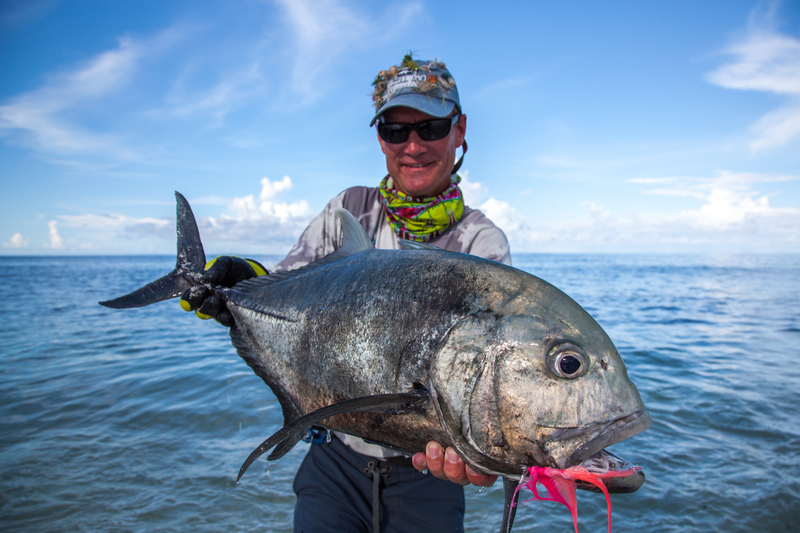 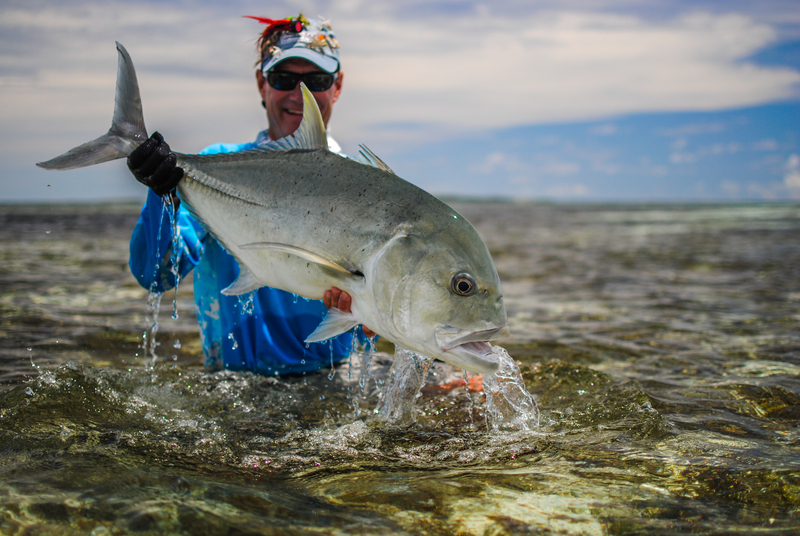 Chris B ended up with 27 GT’s to go along with his remarkable ‘Flats Slams’, comprising of a GT, Yellowmargin Triggerfish and a Milkfish all in one day. 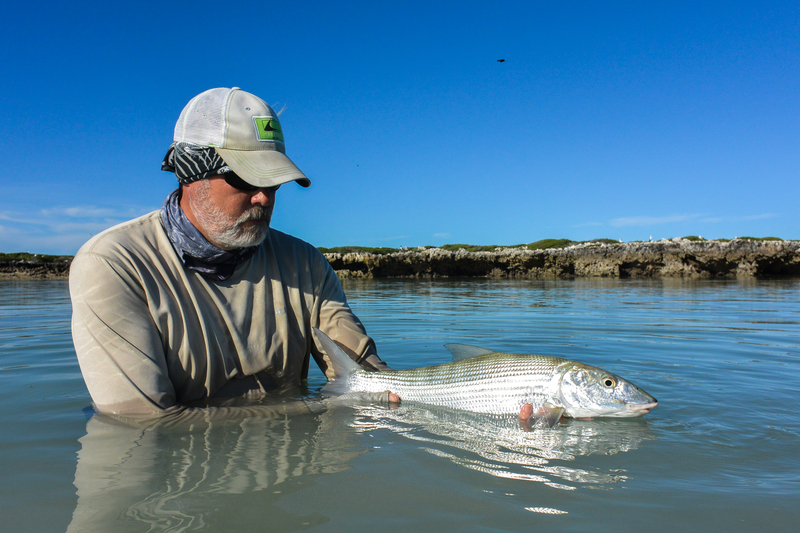 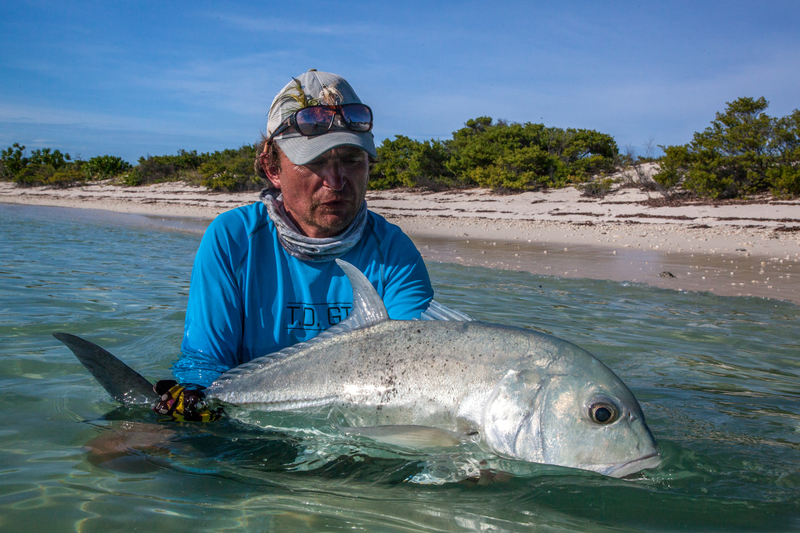 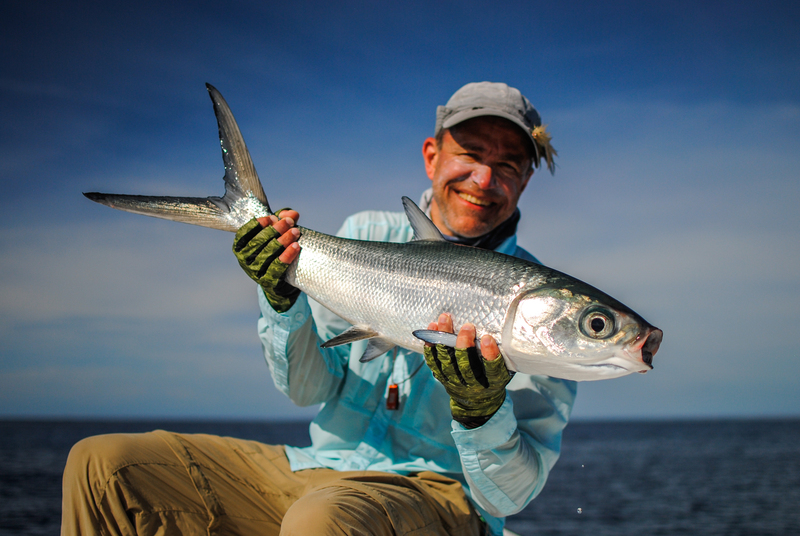 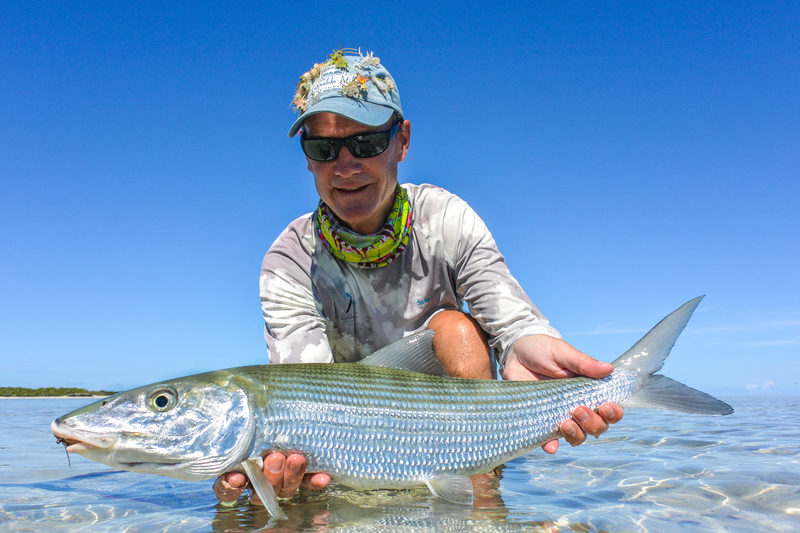 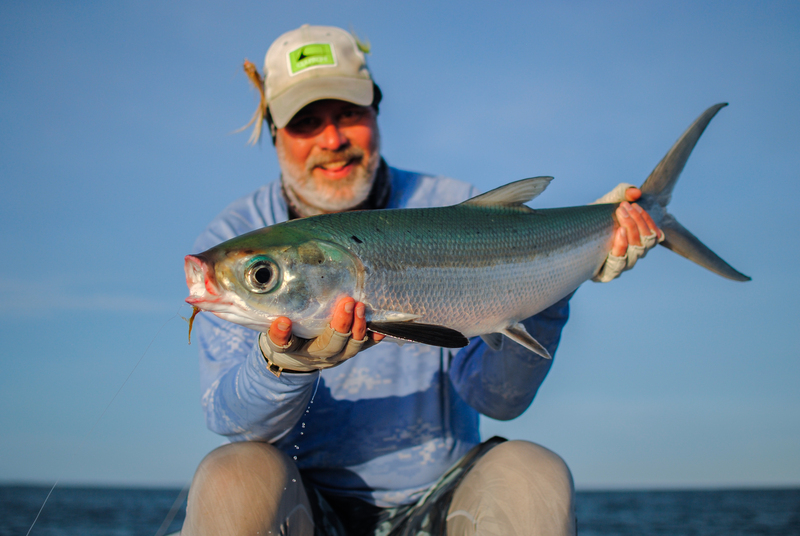 John landed 15 GT’s and a high flying Milkfish to add to some large Bonefish measuring up to 61cm. 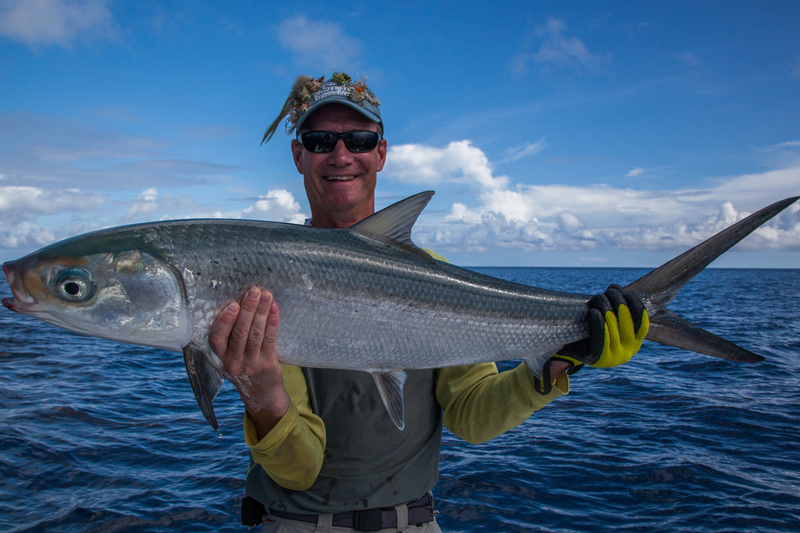 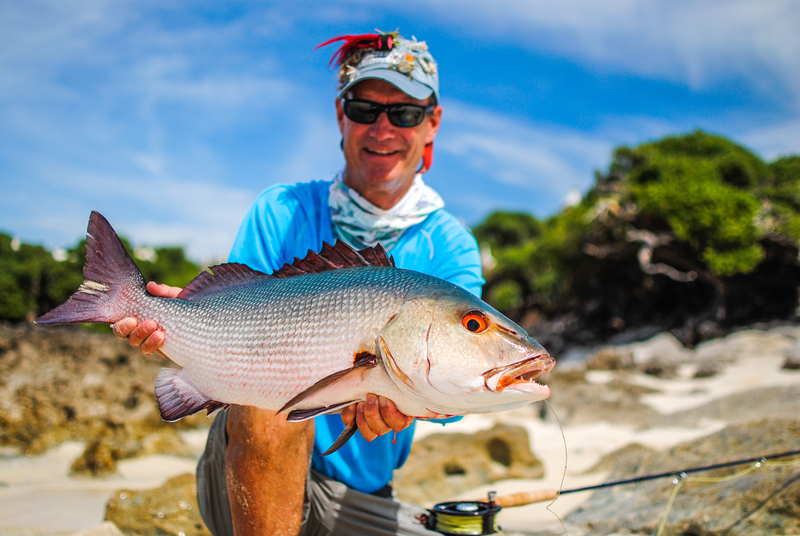 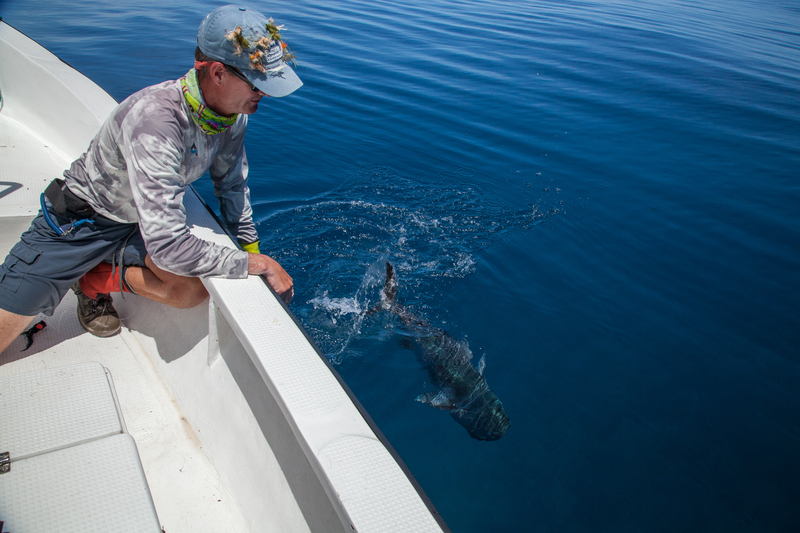 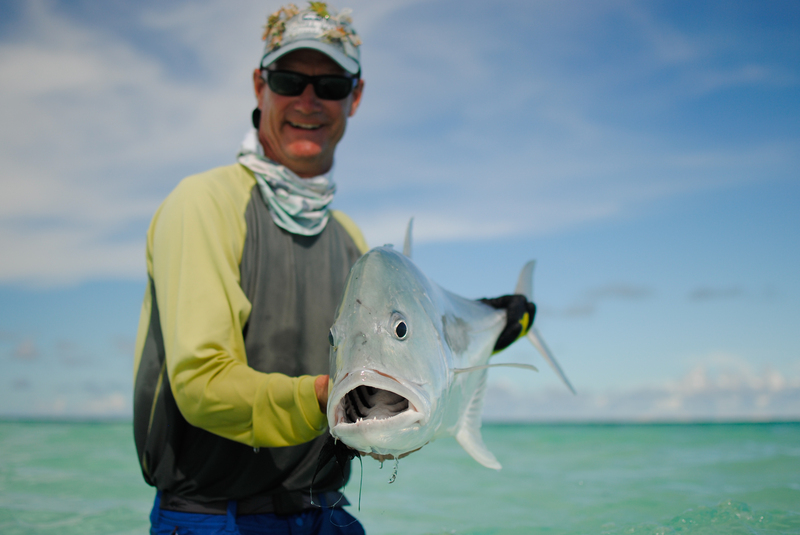 Carl ended on an impressive 30 GT’s, one Triggerfish and one Milkfish. 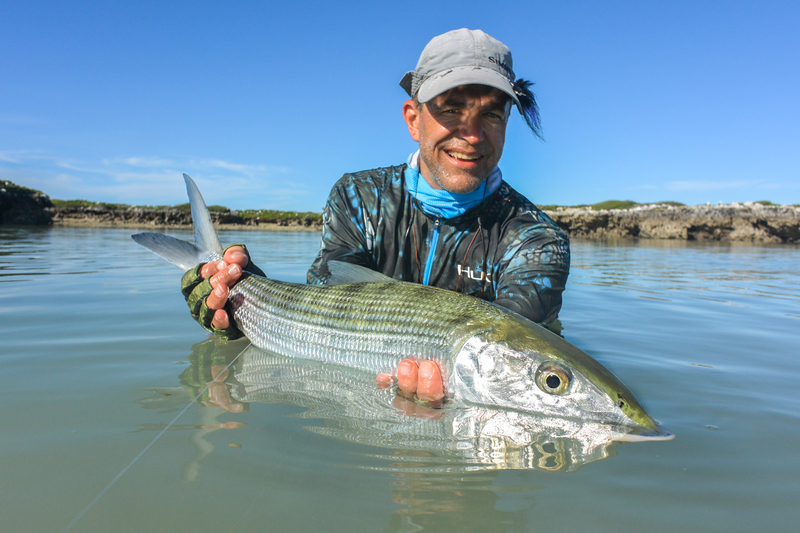 Scott managed 31 GT’s as well as the second of the three ‘Slams’ for the group catching a ‘Flats Slam’ comprising of GT, Bonefish and a Milkfish. 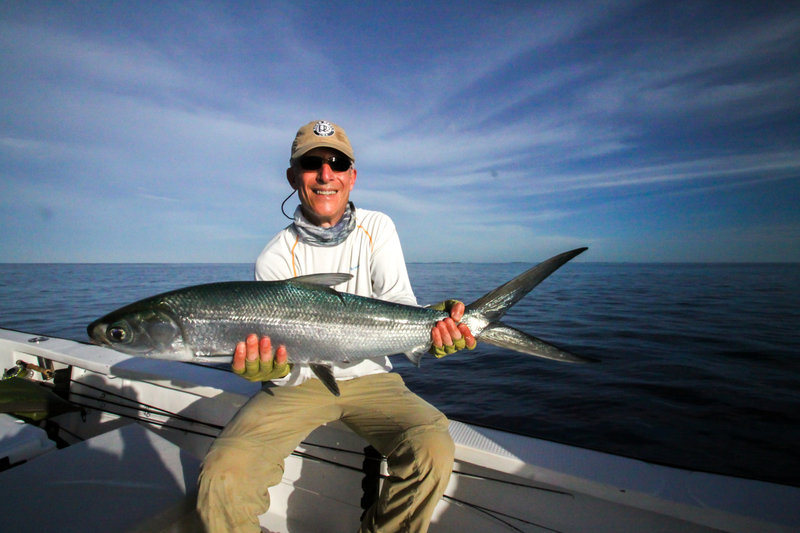 TD had the entire group in constant laughter throughout the week with his fantastic jokes and renditions of past life experiences. 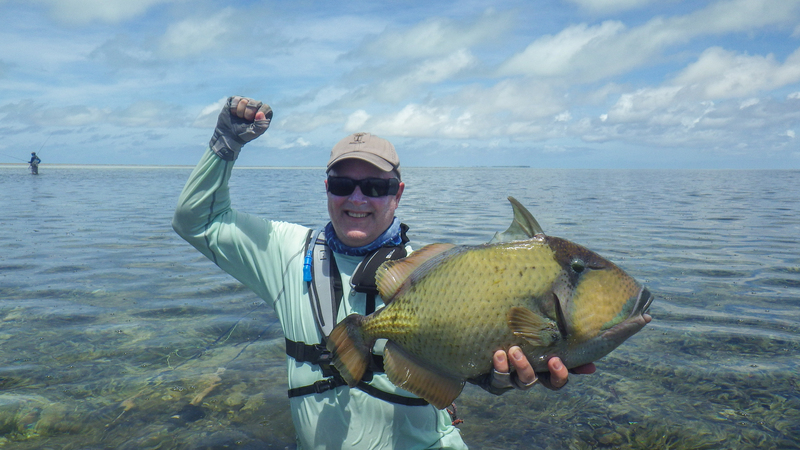 More importantly he was the recipient of the third ‘Flats Slam’ comprising of a Yellowmargin Triggerfish, Bonefish and a GT. 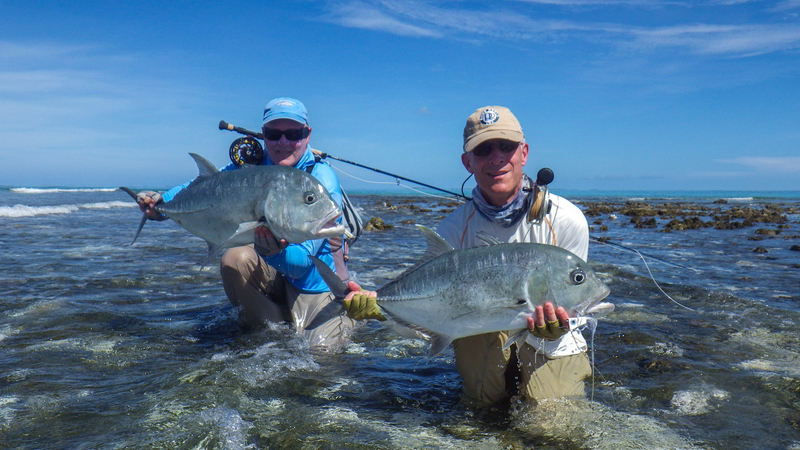 True to form Dave and Jan had a solid week, each landing a pile of GT’s as well as a Milkfish each. 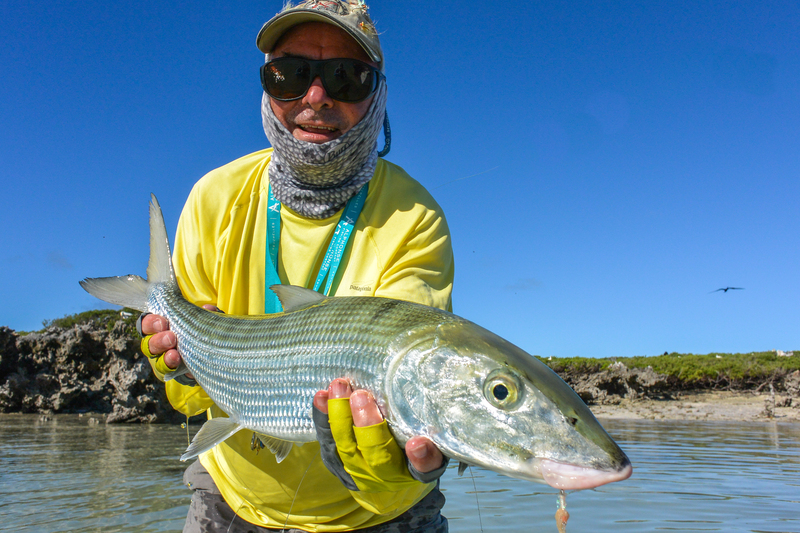 Dave ended up with the biggest GT of the week an impressive 94cm fish combined with the equal biggest Bonefish, measuring 61cm.